Jerry Falwell Jr. says Trump offered him education secretary job. 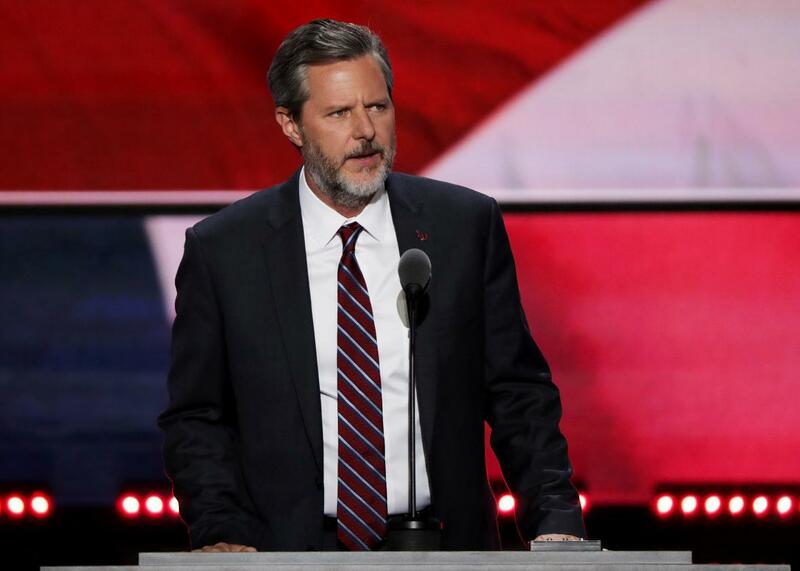 President of Liberty University, Jerry Falwell Jr., speaks at the Republican National Convention on July 21 at the Quicken Loans Arena in Cleveland. So far it’s been difficult for progressives to find anything to cheer about President-elect Donald Trump appointing school-choice philanthropist Betsy DeVos to the role of education secretary. But on Saturday night they got something: At least she isn’t Jerry Falwell Jr. The president of Liberty University told the Associated Press that Trump offered him the job of education secretary, but he turned him down. Falwell says Trump offered him the post last week, demanding a four- to six-year commitment for the job. Falwell, however, wasn’t willing to leave his spot at Liberty University for more than two years. Even though he was offered the position first, Falwell assures us that he thinks DeVos is an “excellent choice” for the job. Falwell sparked a lot of controversy at Liberty University when he enthusiastically endorsed Trump in January at a time when many evangelicals harbored strong doubts about backing the twice-divorced candidate. About 1,100 Liberty University students signed a letter in October criticizing Falwell for backing Trump. Things got so tense that at one point the sports editor of the school’s official newspaper said that Falwell had censored an article that was critical of Trump. Last year, Falwell was harshly criticized after he called on Liberty students to get permits to carry concealed weapons. “I’ve always thought if more good people had concealed-carry permits, then we could end those Muslims before they walked in,” Falwell said at one point.